Queensland's Minister for Natural Resources and Mines Andrew Cripps gave the final seal of approval for the development of the new $1.7 billion Grosvenor Coal Mine, to be operated by Anglo American near Moranbah. “The Grosvenor mine will create up to 1000 new jobs for Queenslanders and represents a significant expansion of Anglo American’s Queensland operations,” Mr Cripps said in a statement on the government website. Anglo American's board in December approved the metallurgical coal project, which is expected to produce five million tonnes per year over a projected life of 26 years. 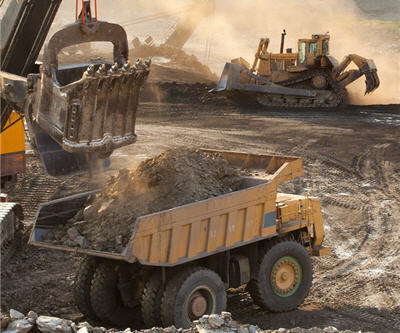 The London-based diversified miner said it plans to triple production of met coal in Australia over the next 8 years. In its first phase of development, Grosvenor will consist of a single new underground longwall mine, targeting the same well understood Goonyella Middle coal seam as Moranbah North, and will process its coal through the existing Moranbah North CHPP and train loading facilities. A pre-feasibility study for expansion by adding a second longwall at Grosvenor is under way. The company said first development coal from Grosvenor is expected in 2013 and the commissioning of the longwall in 2016. In contrast to the sharp declines in coal for electricity generation metallurgical coal has managed to stay above $200 a tonne this year. Heavy rains in Australia at the start of last year drove the price briefly to $300 a tonne, but historically $200 and above translates to robust reward for coking coal miners. After falling from $235 per tonne to $211 at the Vancouver port for export to Asia in the current quarter, it was reported on Tuesday that Anglo-American had inked a July-September quarterly contract for high-quality hard coking coal with a South Korean steelmaker at $225 a tonne.